Visit Tamura's blog to see the categories in which each blog excelled, as well as links to the blogs themselves. A couple of months ago, I saw that Michael John Neill was starting a subscription genealogy e-newsletter called Casefile Clues. I've always enjoyed Michael's writing, from his articles at Ancestry (free even if you don't have a subscription) to his Genealogy Tip of the Day. I've also had the pleasure of hearing him speak, as he was the featured presenter at my local genealogical society's October Workshop in 2006. Michael offered to email me a sample copy of his Casefile Clues, which I gladly accepted. I was impressed by the content and the quality of the newsletter, and signed up for a year's subscription, $15.00 - easily purchased via Paypal or with a credit or debit card. I have not since been disappointed. Every week, I receive a copy of Casefile Clues in my email as a .pdf attachment. Each newsletter is about eight or nine pages long and focuses on a distinct research strategy and its process, whether it is determining if an individual with the "wrong" name in a census is actually the individual whom you are seeking; knowing when a record has missing information and why; or understanding whether it is time to hire a professional and exactly what you should ask him or her to research. Going to the Casefile Clues website provides document images and links that correspond with each newsletter. There are several reasons I'm excited about Casefile Clues. First, it doesn't matter if you are someone who prefers offline research over online, or vice versa. Casefile Clues newsletters are timeless in that the strategies they offer can be used for any type of research, including ethnic records. The information is not going to change in three months! Another point is the focus I've seen on court and land records (although he discusses all record groups), areas in which I feel I am an "advanced beginner," having read a lot about these records but not having as much experience as I'd like in them. I'm looking forward to delving further into these record groups. The third reason I enjoy Casefile Clues is one I've seen listed in other bloggers' reviews: reading these newsletters is causing me to reexamine my own lines with a different focus. I'm very excited about this, as I have been working on some brickwall ancestors for the past couple of months and am now starting to chip away at some of the obstacles, just by the inspiration and tips I've received from Michael's writings! This publication is definitely worth putting on your Christmas wish list! Additionally, now through Monday, November 30th, Michael is offering a Cyber Monday deal of only $12.00 for a year's subscription (52 issues). Believe me, even at the regular price of $15.00, this publication is well worth it and is, in my opinion, a better resource than many of the genealogy magazines offered out there! This is a publication that should be on your must-have genealogy resources list. If you're a long-time reader of my blog, you know that I grew up in a home with both parents who were, for about eight years, officers (ministers) of the church and charitable organization, The Salvation Army. You will also know that when I graduated high school, I spent my college years working for this organization and met my husband, also a Salvation Army employee, while employed at the Family Services department. The Salvation Army was started in 1865 by William and Catherine (Mumford) Booth in London, England as the Christian Mission. They ministered to alcoholics, prostitutes, and other street people living in the worst sort of circumstances. They recognized that a person's spiritual needs could not be met until their physical needs had first been satisfied; thus the motto "Soup, Soap, and Salvation" was born. Originally, the Booths tried to bring their converts to local churches, but the organized congregations' classist attitudes convinced them that they needed to form their own movement. They organized themselves in a military way, with officers being ministers, a corps being a church, and soldiers as members. 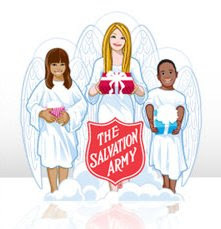 In 1878, the name was officially changed to The Salvation Army, and in 1880, their work began in the United States. The Salvation Army was unusual in that it allowed women to be ministers at a time when they had few legal rights in most civilized countries. The work of The Salvation Army continues internationally today in its community outreach programs, including alcohol and drug rehabilitation programs and centers; its community centers serving the athletic, day care, and meal needs of children, youth, and seniors; its family service centers (food banks and shelters); its thrift stores, providing employment as well as inexpensive items for sale to low-income families; summer camps and day camps, and many other services. The Salvation Army is often one of the first organizations at disaster sites, and while we often hear about the (deservedly) good work of the Red Cross in times and areas of crisis, The Salvation Army is also there, working quietly behind the scenes, offering not only physical help but spiritual and emotional counseling as well. Every Thanksgiving, the The Salvation Army in the United States kicks off its Red Kettle Campaign to promote the presence of its kettle stands at malls and shopping centers throughout the holiday season. There are two types of kettle workers that you'll see: the first type is the volunteer, usually working as a service member of another organization, such as the Rotary Club or Kiwanis group. The second type of worker, much more common, is a seasonal, minimum-wage employee who either is in need a job to provide for themselves and/or a family, or sometimes a student on break or a person working a second job to make a little extra Christmas money. The donations received go into The Salvation Army's general fund, and stay within that community, even if there is not a corps (church) in that community. The Army works with social service organizations within small communities if they themselves do not have a corps there. Monies are used year-round to fight poverty locally. For those communities that do have a corps, the monies go toward that corps outreach programs mentioned two paragraphs above. Those in need do not need to be members of The Salvation Army to receive assistance. This year, I am starting my own Red Kettle Campaign. At the bottom of every post between today and Christmas Day, you will see two icons: one is the Christmas Kettle and the other is the Angel Giving Tree. You can click on either icon to be brought to a webpage where you can make a monetary donation, or adopt an Angel--a child or senior for the holidays. The Angel Giving Tree program originally started to provide children of the imprisoned and jailed with Christmas gifts and needed clothing and toiletry items. It has been expanded to include all needy children, as well as indigent senior citizens. This year has been especially difficult for many. In my own household, my husband has been unemployed since May and our income has dropped drastically, not only because Unemployment Insurance only pays two-thirds of what his original income was, but because I am now carrying our medical insurance through my employer. Yet, we have so much, and we are grateful for what we have! I am sure many of you are in the same boat. In all of our economic difficulties, let us look beyond our own needs to the even greater needs of others. Please make a donation or adopt a child or senior for the holidays. Your donation will stay in your own community, and if you adopt an Angel, he or she will also be from your local community. As you do so, will you leave a comment below so that I can acknowledge your generosity and so that it will be an encouragement for others to also give? 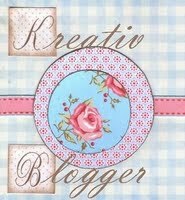 I'm very overdue in recognizing the two very creative bloggers who awarded me the Kreativ Blogger Award recently. Luckie Daniels of Our Georgia Roots and Polly Fitzgerald Kimmet of Pollyblog. On this Thanksgiving Day, I send them my gratitude and appreciation! As part of this award, I'm supposed to tell seven as-yet-unrevealed things about myself and then pass it on to seven other bloggers. Both parts are difficult, since I've participated in so many memes on this blog, and many bloggers have already been given this award. But I am willing to give it a go! 1. I am hard of hearing, especially in my right ear. My hearing loss is probably not enough to warrant hearing aids, and definitely not enough to qualify me for any disability benefits. It is not a volume issue, it is a loss in the range that allows you to hear consonants. Some of it is due to the many ear infections I had as a child, and the other is probably genetic (my son's hearing is bad enough that he does qualify to wear hearing aids; plus I had an ancestor who had three deaf children out of twelve). I rely a lot on reading lips to clarify meaning ("when" and "where" can sound an awful lot alike and can confuse meaning of a question), and am constantly irritated by people who hide their faces or talk "through their teeth" (don't enunciate). 2. I met my children's father while we were both working for The Salvation Army Family Services Department in Spokane. His brother was our supervisor, and I remember when I first met his brother, I thought "Midkiff" was an extremely weird last name. Thanksgiving always brings back lots of memories of people lined up for blocks around our office building to receive either a free boxed turkey dinner or vouchers for one from the local supermarket. 3. I have lived without running water and electricity for four or five years during my childhood in Alaska (very rainy climate), and without running water for five years during my teen years in Eastern Washington (very dry climate!). 4. I have also lived without television for years: first, because of living without either electricity or television service in Alaska; and secondly, when I was first married, we chose to live without a television for the first couple years of our marriage. 5. Unlike most women, I dislike shopping. When we first looked at this house we bought, our real estate agent tried to sell us on all its good points including, "It's close to the mall." Umm...yeah. This time of year makes me cringe, and I am appalled at the concept of Black Friday. 6. I homeschooled my children for three years. I enjoyed it immensely and when it was no longer fun for any of us, they ended up at public school. So did I...first as a volunteer, then eventually as a special education instructional assistant, because I had a background of working with the disabled. 7. For five years my children's father and I lived at a former Nike missile base, which had been converted to a private microfilm processing and records storage facility. There are many colorful stories from that time period of my life that I will have to someday share...in fictional form, so as to protect the not-so-innocent characters that we worked with. * “Centennial History of Snohomish County” col. 1-5, page 4, July 8, 1876: www.sos.wa.gov/quicklinks/CentHist1; Page 5 (continued): www.sos.wa.gov/quicklinks/CentHist2. * “Hyas Potlatch” col. 1, p. 2, July 22, 1876 (an article written entirely in Chinook Jargon): www.sos.wa.gov/quicklinks/Potlatch. * Ambitious readers may want to translate, using this “Vocabulary of the Chinook Jargon” from the 8/6/1864 Seattle Weekly Gazette: www.sos.wa.gov/quicklinks/Chinook. * “J.R. Thompson Travel Account” col. 2, page 2, July 14, 1877 (a travel account of the Walla Walla and Snake river valleys by J.R. Thompson with his thoughts on the Nez Perce Indian war): www.sos.wa.gov/quicklinks/Thompson. Have you ever read a blog that was written by someone who, though they had an interesting piece of writing, fell short in the spelling, grammar, and/or punctuation department? Perhaps you read a story that didn't quite make sense, as the events were not listed in an orderly manner or the details were unclear. Of course, none of us are perfect, and from time to time, I do reread old posts on my blog and cringe when I find a glaring error. However, in this case, I'm not talking about the occasional mistake; I'm talking about errors that happen so frequently within a single piece of writing that they are a distraction, and can feel mentally painful to read! I've actually unsubscribed from a couple of blogs that were making me frustrated every time I visited them! You definitely don't want your readers to feel this way. There are several ways you can improve the editing and revision processes of your writing. First of all, understand that editing involves the brick and mortar of writing: spelling, punctuation, and grammar. Editing is what makes the writing "sound and look right" when you read it. Revision is the decorating of your piece: deleting or adding material to make it clear, interesting, and sequential. Revision is what makes your writing "interesting and make sense" to read; it literally means "to look again." After you have written your post, don't publish it just yet. Reread it to see if it makes sense. Is it too wordy? Not detailed enough? Does it flow or do the sentences sound jerky and unrelated? As you address these issues, you will develop your own style of writing that sets you apart from others. Thesaurus.com is especially helpful if I can't remember a word I wish to use or if I'm struggling not to repeat the same words too frequently in my post. Next, use the spell check to scan for errors. Don't rely only on spell check, however. While it may find the basic spelling, grammar, and punctuation mistakes, it is only a computer program and doesn't catch everything. I often write with a tab open at Dictionary.com to make sure that I'm spelling correctly and also using the correct word in a sentence. Another useful resource is Daily Writing Tips, a blog by Maeve Maddox. It covers spelling, vocabulary, punctuation, grammar, popular expressions, misused words, writing basics, and much more! I especially appreciate her free, downloadable eBook, Basic English Grammar. After I've revised and edited my writing, I'll read it aloud. Then I'll publish it and read it again. For some reason, my eyes will catch things I missed when the post was in draft mode after I read it published on my blog! Don't forget that good writing skills, both in content and structure, will cause both your regular and new readers to return in the future! The 24th Edition of the Carnival of Central and Eastern European Genealogy Has Been Posted! Al Wierzba of Al's Polish-American Genealogy Research is the host of the 24th Edition of the Carnival of Central and Eastern European Genealogy, whose theme is "Tips, Tricks, and Websites for Researching Central and Eastern European Genealogy." Nine articles were submitted by the same number of authors. Even if you don't have ancestry from Central and Eastern Europe, these posts are well worth the reading for general tips and ideas that can help with any research! The 25th edition of the Carnival of Central and Eastern European Genealogy will be hosted by Jessica Oswalt of Jessica's Genejournal. The topic for this edition will be Christmas/Hanukkah traditions. Does your family have any unique Christmas or Hanukkah traditions? Articles on topics such as food dishes, decorations, traditions, etc., of Central and Eastern Europe are welcome. The deadline for the submissions will be December 18, and Jessica will post the edition on the 20th. 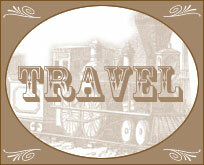 Please submit articles through the Carnival of Central and Eastern European Genealogy website. FYI: the Carnival of Central and Eastern European Genealogy accepts submissions on articles relating to the territory now governed by the following modern governments: Germany, Poland, the Czech Republic, Slovenia, Slovakia, Greece, Turkey, Russia Federation, Lithuania, Latvia, Estonia, Belarus, Ukraine, Austria, Hungary, Croatia, Serbia, Montenegro, Macedonia, Bulgaria, Romania, Moldova, Albania, Bosnia & Herzegovina. The 84th Edition of the Carnival of Genealogy is Posted! 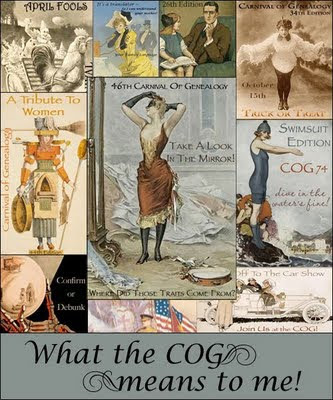 Jasia recently posted the 84th Edition of the Carnival of Genealogy, whose theme was "What the COG (Carnival of Genealogy) means to me. This was a fabulous carnival to both participate in and read! I really liked the way Jasia organized the posts, and I encourage you to enjoy it. As a enthusiastic RootsMagic user, I was excited to receive this press release! FindAGrave now has 38 million memorial pages listed on its free website, which includes many details about the individuals' lives, links to other family members' memorial pages, and photographs of the individual and/or his or her tombstone! As an indicator of how fast this website has grown over the years, on December 21 of last year, I reported they had 28 million memorial pages. All of these are created by visitors like ourselves. If you would like to learn more about FindAGrave, you can request my free syllabus as well as read my post on the Family Linking Feature. Last winter I started a series on Getting More Traffic to Your Blog, aimed specifically at new geneabloggers. It was a series that I--surprise, surprise--never quite finished, partly because life got busy, and partly because Julie Cahill Tarr of The Graveyard Rabbit wrote a similar series touching on some of the same ideas I had gathered. Come back next Tuesday for another tip on Getting More Traffic to Your Blog! Twenty-three bloggers have shared ancestral and modern photos around the theme "Travel" at Shades of the Departed's 18th Edition of the "I Smile for the Camera" Carnival. Be sure to check them out! The November 2009 Scanfest will take place here at AnceStories next Sunday, November 22nd, from 11 AM to 2 PM, Pacific Standard Time. Normally held the last Sunday of the month, we have moved it a week earlier due to many people being occupied with the American Thanksgiving holiday weekend. If you would like to be a Producer, please e-mail me no later than Saturday, November 21st at 4 PM, PST and I'll send you an invitation. Preference will given to previous Scanfesters. You must set up an account (free!) ahead of time to be a Producer. This account will be good for all future Scanfests. You can do some practices ahead of time by going to My Account and clicking on the link under Practice your live blogging. Again, you must have IE 6.0+ or Firefox 2.0+ to be a Panelist. Mid-December 2006. I had been blogging quietly for nearly a year, at a different blogging platform, with an audience of one: myself. I found a few other genealogy blogs (four, to be exact), one of whom was Randy Seaver's Genea-Musings. He had highlighted something that was new to me, the Carnival of Genealogy. I had never heard of a blog carnival before, much less the Carnival of Genealogy (COG). I discovered upon reading it that it was similar to an online magazine, except all the articles (posts)--focused on one theme--were written at each of the authors' (bloggers') blog sites instead of at one online location. The Carnival post listed at the Creative Gene blog was like a table of contents listing each submission with a descriptive paragraph and a hyperlink to the full article. Aha! Here was a way to find more genealogy bloggers, and perhaps a few more readers as well! 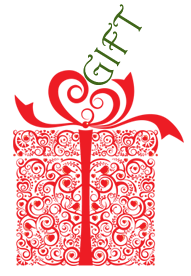 I quickly wrote out my first submission for the 14th COG, whose topic was Genealogy Gift Giving, My Genealogy Gift List: Victoria's Secret? Never! Wow! Jasia, the host of the COG, wrote a very kind description: "You have to read this one... written tongue in cheek, Miriam gives a good giggle while telling us whose secrets she'd really like to discover! Very clever!" And I noticed my blog got more views than all the previous views combined! Furthermore, I received my very first COG comment from Lee Anders: "Love your post! Who has a need for Victoria's Secret when there are juicier secrets out there just waiting to be uncovered?" Needless to say, I was hooked! Participating in the COG has multiple benefits. First, there's the focus one must take to write a quality article. It sharpens thinking and writing skills. I can't tell you the number of times I've gone to prepare a post and in looking at the corresponding genealogy research necessary for the topic, I end up going a little deeper into my analysis of the sources, timelines, and documents involved. Sometimes I make new discoveries! The COG is good for writing, but it's also great for research! Next, there's the reading; having others read your post and reading other submissions. The COG definitely increases traffic to your blog, but it also creates a "paper trail" for other relatives researching the same ancestors. Years after I've written a post for the COG, I'll get a comment from someone whose Google search on an ancestor led me to my blog. Again, the COG is good for readership, but it's also great for making genealogical connections! Also, by reading others' submissions, you get exposure to different writing and research styles, and who knows? You may just discover you have a distant cousin who's also blogging the COG! And then there are the connections: not just the possibility of connecting with distant cousins, but the camaraderie that grows between yourself and other COG bloggers. Some of my closest friends are those I have never met in real life! We write and we read each other's blogs. We laugh and we cry. We pray for them when they're going through personal rough spots and we do the genealogy happy dance when they break through a genealogy brick wall. We end up being Facebook friends and Twitter followers and we email and instant message and Skype each other. And for all that, the COG is alone worth it! I have a few favorite COG editions, and they tend to be annually themed, traditionalist that I am. They include the Resolutions Editions (January), the iGene Awards, a.k.a. the "Best of the Best" (February), the Women's History Month Editions (March), the Swimsuit Editions (June), and the Wish List Editions (December). Of all the ones I've written, my favorite are My Genealogy Gift List: Victoria's Secret? Never! (14th Edition - and my first COG submission), Childhood Food Memories (16th), the two I wrote for the 18th Edition, 5 Tips for Michigan Internet Research and Recommended Reading for Michigan Research, One Woman: Barbara Dorothy Valk, Missionary to Central Africa (20th), Eight Generations of Mothers (24th) and A Polar Bear in North Russia (30th). Two submissions that are among my favorites were actually written by my parents. My mother wrote her school day memories in Mom, How'd You Get So Smart? (48th), and I copied an article my dad had written years ago for an association newsletter, "Pygmy Goats in Alaska" (53rd). I also hosted my first COG last August with a theme I picked myself, Disasters! (77th). Although time-consuming to create (which leads me to credit Jasia as a superwoman to do this first twice a month and now once a month! ), it was a lot of fun and very interesting to put together. Writing for the COG isn't always easy. By looking at the list of my COG submissions at the bottom of this post, I can see periods when my computer wasn't working, my life was chaotically busy, or my writing had hit a slump. I'm not the only one who rollercoasters. A short while back, some of us "oldtimers" had an email discussion bemoaning our lack of posts, creativity, and motivation, and our writers' blocks. The only thing to do is to pick yourself up and keep going. Sometimes those bursts of great writing come forth only after forcing yourself to sit down and write. I don't always submit my posts in a timely manner. I've missed a few deadlines but published my posts anyway, because I knew I had something that needed to be said. I've recycled a few old posts from time to time to use, either because I wasn't feeling creative, or actually when a few old posts fit the COG theme perfectly. Good writing takes time, and my usual COG post takes me approximately two to three hours to write. But all in all, I have enjoyed writing for the COG and I hope to increase the amount of my submissions after a lean year of blogging in general. If you've never written for the COG before, I encourage you to do so! I wrote a tutorial here at the Bootcamp for Geneabloggers blog on how to submit a post to the carnival. If you've never hosted a carnival, then I also encourage you to contact Jasia and let her know you'd be willing to do so. She's always looking for more hosts! I look forward to many more years of future COGs as well as to its natural evolution. There can only be better things to come as our writing and research improves! Jasia, thank you for starting this wonderful event, for keeping it up despite all the hard work and times of discouragement. Your carnival has been a wonderful example for many other genealogy-based carnivals and you deserve all the accolades that come your way! 17 - "I'd Like to Thank the Academy"
34 - 29 East LaCrosse: Haunted or Not? 36 - Loving Genealogy...For Over 30 Years! 48 - Mom, How'd You Get So Smart? 51 - An Independent Man: John WILKINSON, Jr.
52 - What's Age Got to Do With It? 53 - "Pygmy Goats in Alaska"
This story in my local paper, from North Idaho, reminds me of Megan Smolenyak Smolenyak's Unclaimed Persons Project. In this case, it's about forgotten remains of veterans or their spouses, and what the Missing In America project is doing about it. It's a national project, but it started in Idaho. You'll want to read this as soon as possible, because The Spokesman-Review archives its articles behind a subscription wall after only a day or two. The CONCIDINE surname belongs to my paternal grandmother's adoptive mother. My grandmother was an adoptee, and I have been highlighting both her biological and her adoptive families' surnames in my Surname Saturday posts. I use the letter B to distinguish between adoptive and biological families in my ahnentafel. 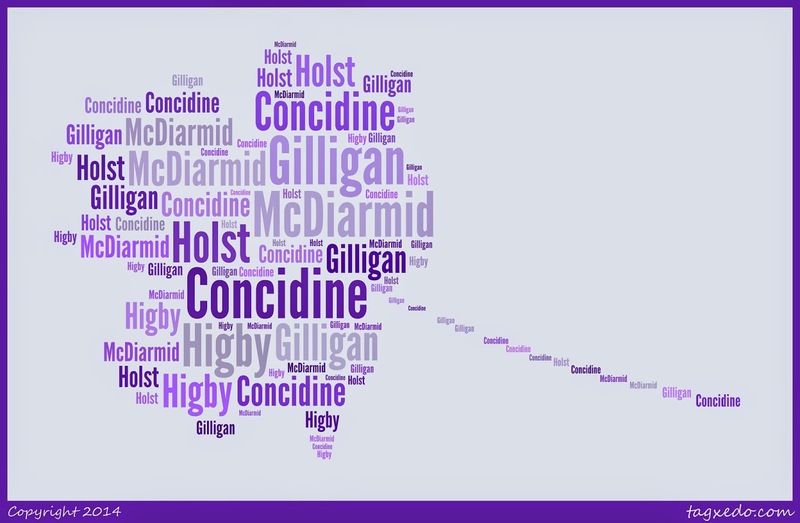 CONCIDINE is a surname from Ireland, being the equivalent of the surname CONSTANTINE. While this surname is often spelled CONSIDINE, in our family line it is quite frequently spelled with a C instead of an S.
Ahnentafel #88B - Dennis CONCIDINE - (b. c. 1800) - little is know about this man except that he was born in Ireland (probably Ennis, County Clare), and that his wife's name was Nora GILLIGAN. They emigrated to Rochester, Monroe Co., New York about 1827, and then removed to Wyoming Co., New York four years later, where they lived out the remainder of their days. Ahnentafel #44B - John D. CONCIDINE - (1823 - 1906) - Born in Ennis, County Clare, Ireland, I first found him in the 1850 US Federal Census in Allendale Twp., Ottawa Co., Michigan. By then he was married to Elizabeth McDIARMID; together they had a family of nine children. John was one of the early settlers and farmers of Byron Twp., Kent Co., Michigan, where he died in 1906. He is mentioned in the memoirs of Belinda Thompson Irwin here, as well as in the History of Kent County, Michigan. Ahnentafel #22B - John Dennis CONCIDINE - (1854 - 1925) - Born in Byron Center, Byron Twp., Kent Co., Michigan, John first married Anna Matilda "Annie" HIGBY, with whom he had seven children, five of whom survived infancy. After Annie's death in 1903, he married the housekeeper, Minnie Belle FIELD. They had one son. Three of John's sons from his first marriage moved to Illinois, and John and Minnie moved there in his elder years. He died in Afton Twp., DeKalb Co., Illinois, but was buried in the family plot in Byron Township. Ahnentafel #11B - Nellie May CONCIDINE - (1883 - 1953) - Nellie was John's only daughter to survive infancy. She became a school teacher, teaching in Kent and Muskegon Counties, the latter being where she met German immigrant Alfred Henry HOLST. They married in 1905, and had a set of twins in 1909, who died shortly after birth. Nine years later, they were finally able to conceive another child, a daughter. After moving from Muskegon County to Wisconsin, then back to Michigan, this time in Ottawa County, they decided to take in a foster child after some shirttail cousins adopted a little boy. The boy's older sister that they fostered was my maternal grandmother. They raised her and considered her their adopted daughter, although like most adoptive families at that time, no legal process took effect...until the underage girl wished to be married. In order to give their consent, they had to be the legal parents, and so Nellie and Alfred adopted my grandmother shortly before her 16th birthday and subsequent marriage the next week to my grandfather. Nellie died at the age of 69, just six months after her husband. Scanfest will be early this year to circumvent the American Thanksgiving holiday weekend. We will be meeting on Sunday, November 22, 2009 from 11 AM to 2 PM, Pacific Standard Time.